Our relationship with McLaren started in 2013, when we began providing support to their IT team. Today, IT Lab is the official Technology Services Partner to the McLaren Technology Centre. Fundamentally, we've become the team behind the team and part of the fabric of this proud organisation. Our role is to drive excellence in service delivery. Our Service Obsession sits at the core of our people and processes. It's about always giving our best, both personally and as an organisation. 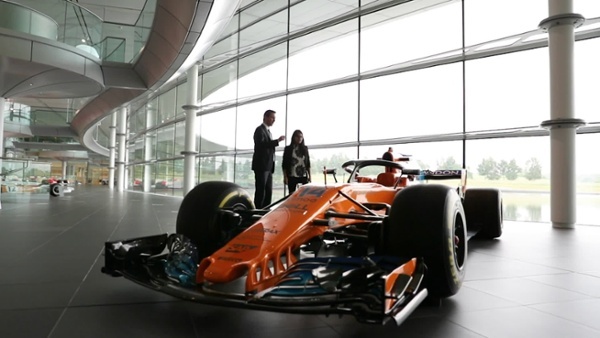 Sam Price, McLaren's IT Director said: "IT Lab has supported us in innovating our services - including bringing the Tech Bar directly to our users here at the McLaren Technology Centre - and helping us develop our service management platform." Their Chief Operating Officer Celia Gaffney added: "One of the things I appreciate about working with IT Lab is that we can reach into them very easily, and they're very responsive and agile in the way they provide their services to us. "As we innovate and service our customers, they're supporting us in turn to be successful in our markets." How Should Organisations View IT? Ultimately, technology is about helping users do their jobs well - something we do every day at McLaren - and can do for you too. It's just the same with the hundreds of other clients we work with, regardless of their size, sector or industry. If you'd like our help, please fill in the form and we'll quickly be in touch. You can read more about McLaren's journey with IT Lab here.